Was planning to pick up a Concept2 erg to add some upper body work to my winter training, both of my local fitness stores are pushing the WaterRower. All my research says the C2 is the one to get, including the discussions here but after trying out both machines side by side I am leaning to the WaterRower. Any rowers here that have experience with both machines, and why I should pick one over the other? there's a reason every single rowing program in the country uses them. if you're using it correctly, i suspect you won't put on that much upper body mass though. if for no other reason than the after sales support. you can still buy parts for every model they made i think. they are real tools designed for near constant use. In times like this I think, "what would Frank Underwood choose"? As can the C2, so that really shouldn't be an issue, unless you have super-low ceilings. For reference the C2's 8' long, and the WaterRower 6' 10.25" The C2 can be split in half (not super easy, but not hard either - no tools required). I'm not sure about the WaterRowers - some obviously can't be because the frame consists of long beams, but there seem to be other models that don't use a long beam. I can't tell how easy or hard it would be to take those apart. Get the one you are most likely to use over time, as long as you recognize that for serious rowing a C2 is the way to go. Finally, if you're into computer-based tools for real-time use or tracking of your performance, then there is zero doubt, C2 is the way to go. Purchased my C2 Model C in 1998 and have used it almost daily ever since. Might be time to replace the rollers on the seat but even then I can still use it without issue. Concept 2. Simplicity, reliability, everything the other posters have noted. 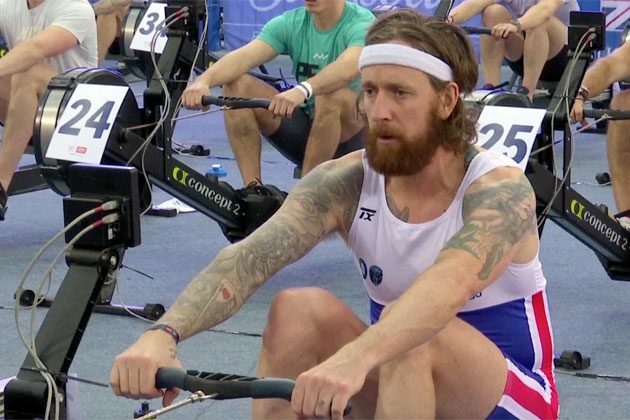 Created by an Olympic rowing family, from scratch. It works and keeps working. The oars are great, too! I just went through analysis paralysis and chose C2. Very happy. Last edited by merckxman; 11-08-2018 at 08:47 PM. Crewed for Temple while in college, and during the offseason we used Concept, hence my reason to buy one for home use. Bombproof. Cannot comment on the WaterRower as I've never used one. As far as upper body, I agree with thegunner....you'll see more work on your core than anything. Of course, proper technique is key with any machine. Doesn’t the water tank require regular treatment? Any videos you’d recommend to learn a proper technique for anyone using one at the gym this winter? Believe it or not, the WaterRower is sold at MoMA Design Store: https://store.moma.org/home/health-r...43-110443.html.